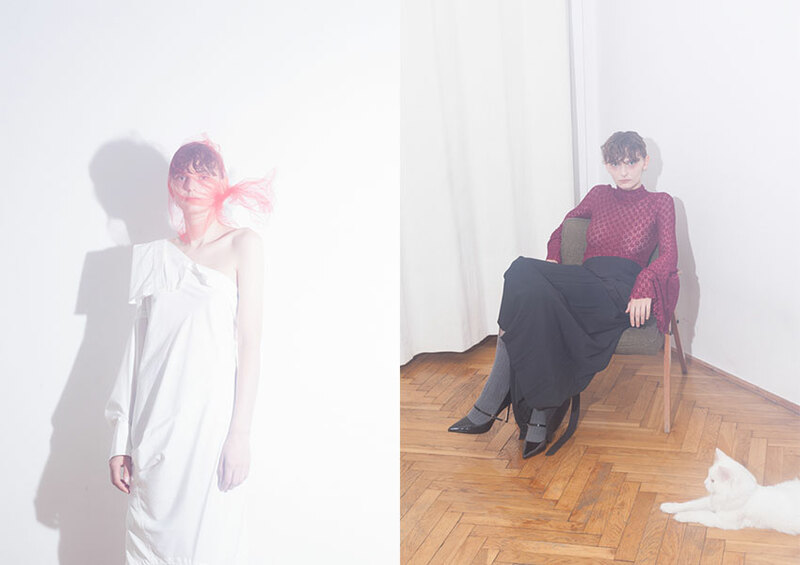 Photography by Lola Banet and fashion by Karol Niwinski. Coat by Dramat. Vest by Sandra Kpodonou, tights by Calzedonia and shoes by Zara. Shirt and shoes by Zara. Blouse and skirt by Sandra Kpodonou, trousers stylist’s own and shoes by Zara. Coat by Martyna Sowik, shoes by Balenciaga and tights by Calzedonia. Blouse by H&M. Coat by Dramat, tights by Calzedonia and shoes by Margiela. Photography by Lola Banet, fashion by Karol Niwinski, makeup and hair by Kasia Biały and modeling by Oliwia@D’vision. Creative info: Lola Banet.